If you love to sing, enjoy meeting new people and having a real sense of community, this is the place to be! The Heart & Soul Choirs are full of truly gorgeous groups of people who get together every week during the term time to sing, have a laugh and generally leave enormously uplifted and cheerful. There is always space for new members to join us and you will be made to feel very welcome. Our Choirs are all about accessibility and community, and that means there are no sniffy people demanding you sight-read anything, there are no auditions, and there is no huge corporation behind it leading to massive and impersonal group sessions. This is not a big-business choir, this is a Choir full of heart and soul. Come and join us - you're going to it. 1: It's SOOOO good for you to sing! The positive impact of singing for people of all ages are widely publicised, and for good reason! Singing positive, upbeat and challenging repertoire makes us all feel good, forgetting everything else outside the Choir ... and the cuppa and biscuit in our breaks don't do us any harm either. 2: It gets us all breathing properly. Breathing for singing is something quite different to everyday respiration, and our Choir Leader is a fully-trained Vocal Coach, so keeps us all standing well, singing for maximum impact and breathing correctly, ensuring that we are all vocally healthy and happy. 3: It gets us out! 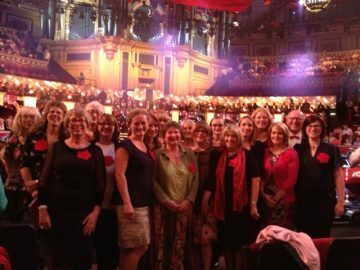 The enormous feeling of wellbeing and joy our Choir members feel is incredible - it's like we're in a Choir Family. And all ages and stages are welcome, so don't worry if you haven't sung in anywhere other than your bathroom before, you'll be fully supported in your singing with us. 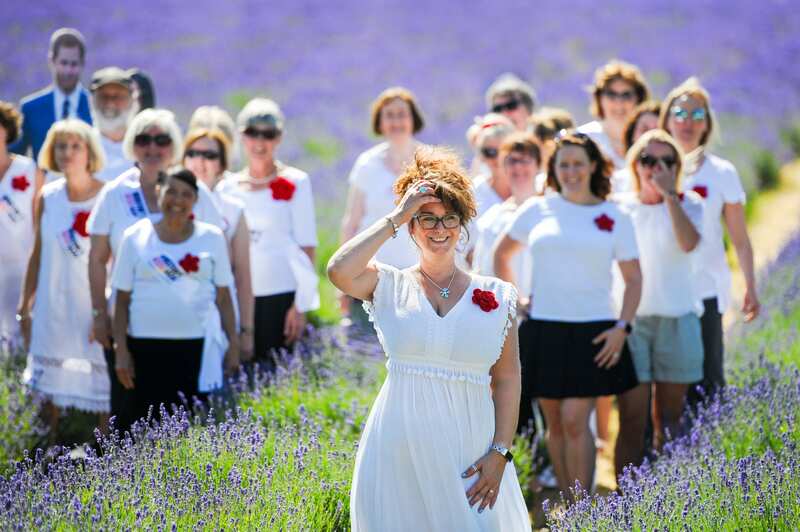 People join choirs for all sorts of reasons and if you are looking to make some new friends and working with others towards a common goal, then you'll be safe with us. We get together at least once a term for dinner (Cobham Choir meet every week for coffee!) and we also make the most of living so close to the West End, ensuring we have regular trips to see the best London shows at excellent group rate ticket prices. 4: We do our bit for Charity. We are booked to perform many times throughout the year and all performances are opportunities to raise funds for our Choir's chosen charity, Winston's Wish. With your help, we can beat all records in fundraising for them every year. Which Choir Would You Like To Join? Copyright 2016 - 2019 The Heart & Soul Choir. All rights reserved. Singing is so good for your wellbeing, what are you waiting for? Welcome to the Members Area!